Please fill out the form below or for immediate service Call Us Today at 870-774-5683. If you're like most pet owners, then you've probably come to consider your pet a member of your family. Give your pet the care he or she deserves by making an appointment at State Line Animal Hospital. 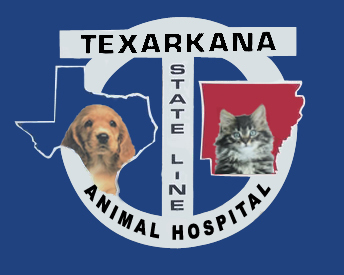 As a premier veterinary and animal hospital in Texarkana, we pledge to offer thorough, comprehensive pet care in a warm, friendly environment. At State Line Animal Hospital, we believe in promoting responsible pet ownership through proper education and preventative care. Our veterinary and animal hospital is staffed with gentle and attentive veterinarians, technicians, and administrative professionals who love animals and want nothing more than to see them healthy.